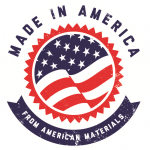 Amramp modular wheelchair ramps provide safe access in and out of the home and can be installed in just one day. 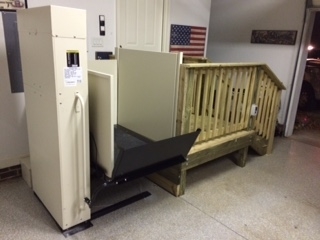 Amramp now proudly carries an expanded line of accessibility equipment, including portable roll-in showers, automatic door openers, vertical platform lifts, threshold and entry ramps, inclined stair lifts, portable ramps, inclined platform lifts, pool lifts, overhead patient lifts, grab bars, wireless alert devices and more. Call or submit the form for more information. 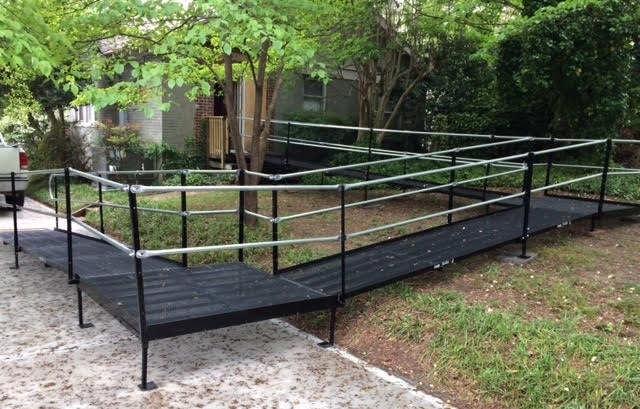 The Amramp South Carolina team was able to overcome the hilly terrain on this Greenville, SC property and provide an accessible solution from the side entrance to the driveway with this wheelchair ramp. 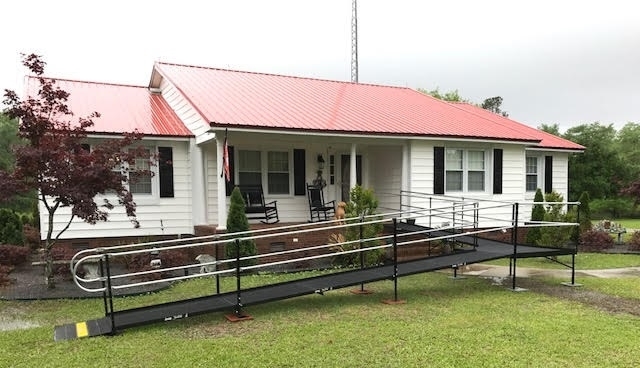 This wheelchair ramp installed by the Amramp South Carolina team now provides access from the front entrance of this Pamplico, SC home. 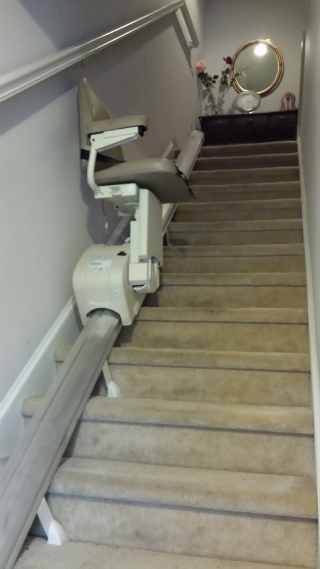 An indoor stair lift provides access to the upper level of this home in Salisbury, NC. The resident of this home in Waxhaw, NC needed wheelchair access through his garage entrance. The Amramp Carolinas team installed a vertical platform lift and added the deck and stairs as well.